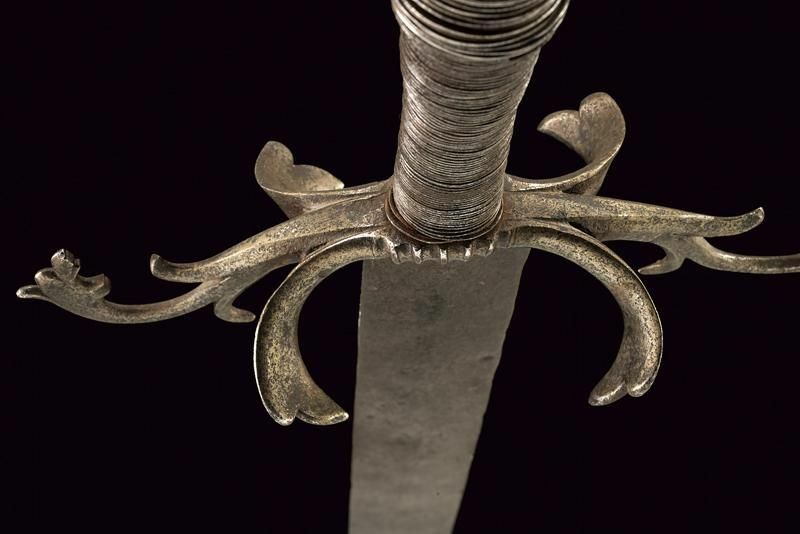 Straight, double-edged blade, ribbed in the center. 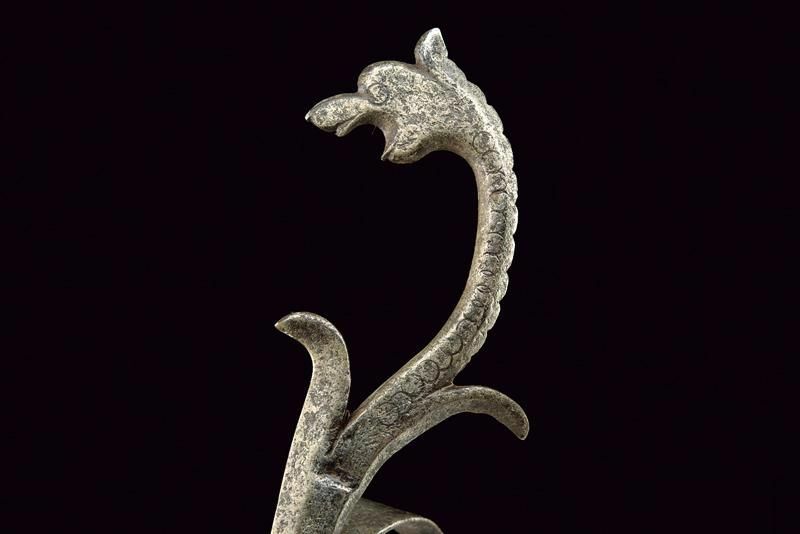 Fantastic, iron quillon with counter-curved quillons, with the ends decorated with a stylized monster's head and dents curved at half length. On the two facets of the sword there are another two, big dents of curved and palmed shape, quillon block with raisers. Grip covered with thick, metallic wire. 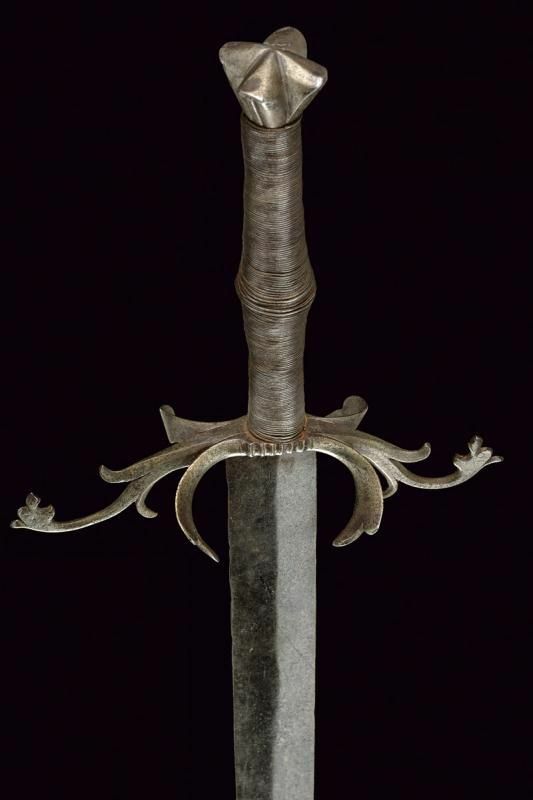 Quatrefoiled pommel, engraved on the external surface. 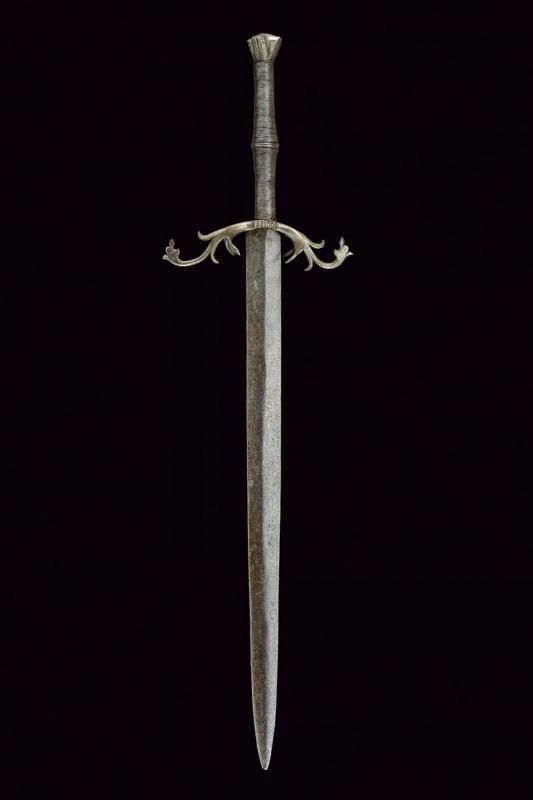 Interesting, antique sword, probably produced for decorative use, for a statue or panoply.